Rokuhan parts added. Additional fuel tank and truck side frames seen in photo are available in my shop. 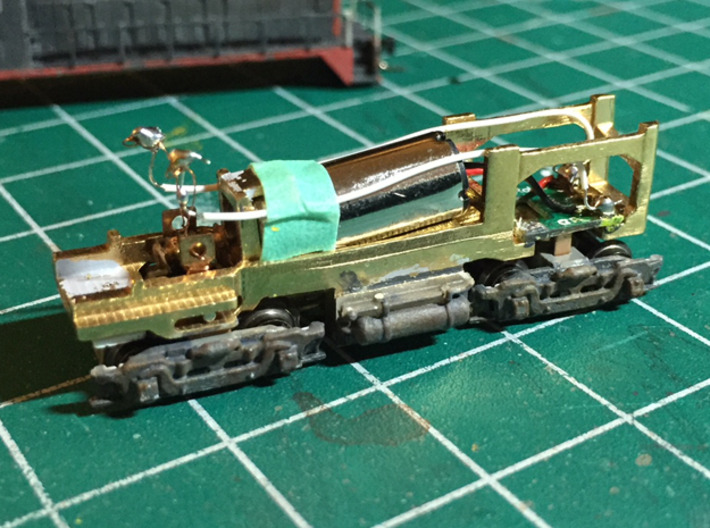 Here is a frame that can be powered by components from a Z Scale (1:220) Rokuhan Shorty Chassis B. 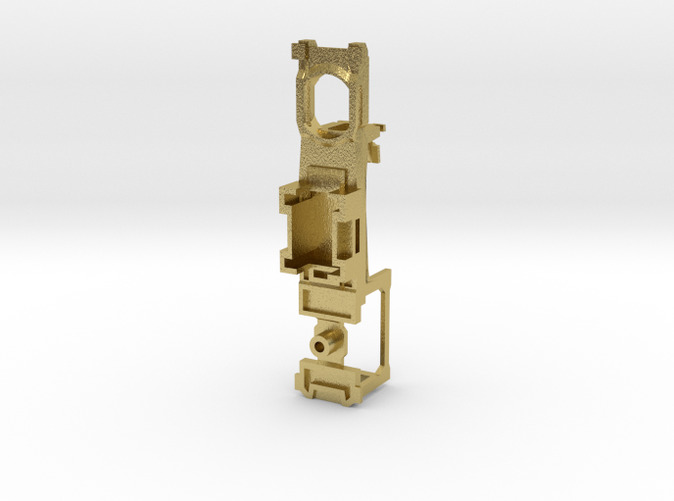 Using this will allow the shorty's motor to fit into smaller, tighter, train shells than the original shorty frame. 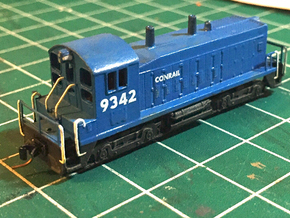 Many types of Z scale locomotives can be built using this as a starting point. The Shorty must be torn apart to use the motor, trucks, and circuit board in this frame. This is a slightly modified version of the SW1200 frame available in my shop. 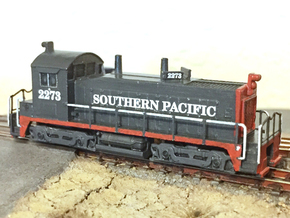 Z Scale Rokuhan Shorty Chassis B can be purchased anywhere Z Scale trains are sold.